Everybody who washes their own clothes uses clothes hangers at some stage in their lives. You can't get much more of a common usage product than this. How can you turn such a mundane product into a fun promo gift that is bound to cause a stir. 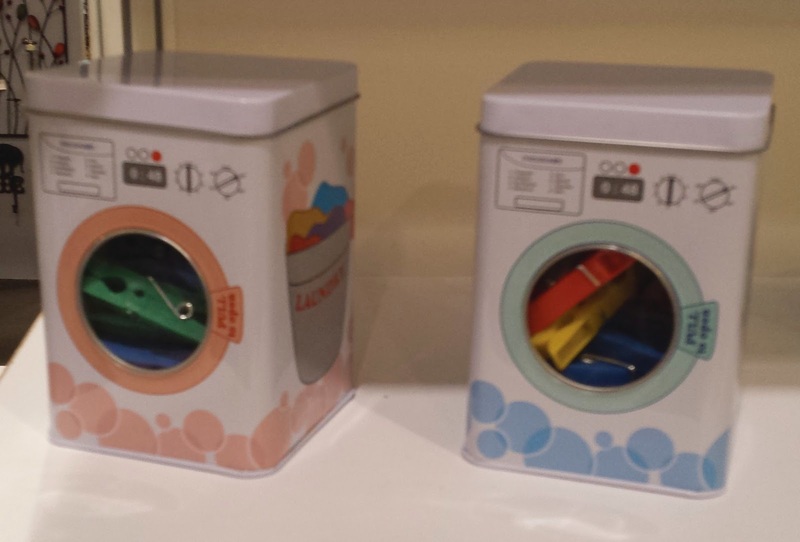 How about changing to Promo Gift Packaging to make it look like a washing machine? 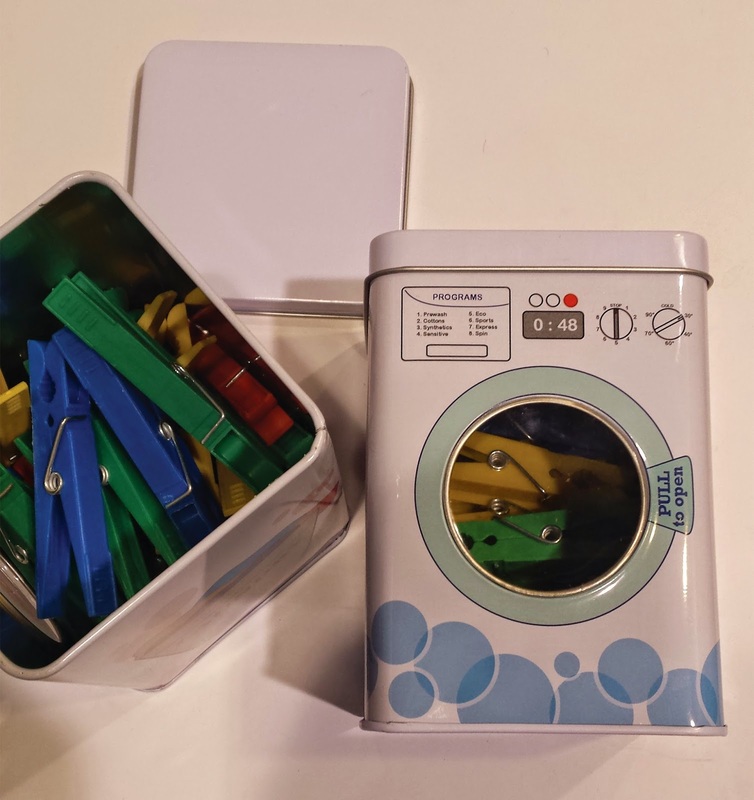 There is a metal can with see through plastic window which can easily be printed to represent a washing machine or air dryer spinning machine. There are probably other industrial machines that also have this configuration and general shape. The pegs are plastic in this case, but could be substituted by wood or other materials (or products). These are a highly functional and daily/weekly usage item so this box with upwards of 20 pegs. If you use plastic pegs, order them in the colour of your logo. You may also print individual pegs. However, the main area for branding would be the area around the branding for the machine itself. Just like a normal washing machine the top part is blank, so this is a good place for logos. Any company that wants to stay in the public eye should consider using such a promo gift. Especially in the thoughts of the person of the house in charge of washing - usually a strong decision maker in the shopping arena. Who could use this product as a giveaway. A Beer company could give away signed sports shirts as a main prize and the pegs as a fun and cheeky secondary prize. Clothes companies could give away pegs as a gift with purchase. Repair men could use this as a giveaway on house calls. Electricians, Plumbers etc.. You will never loose their number again with this Promo Gift Packaging. Give us examples from your market. What cool Promo Gift Packaging made a simple product really stand out for you?